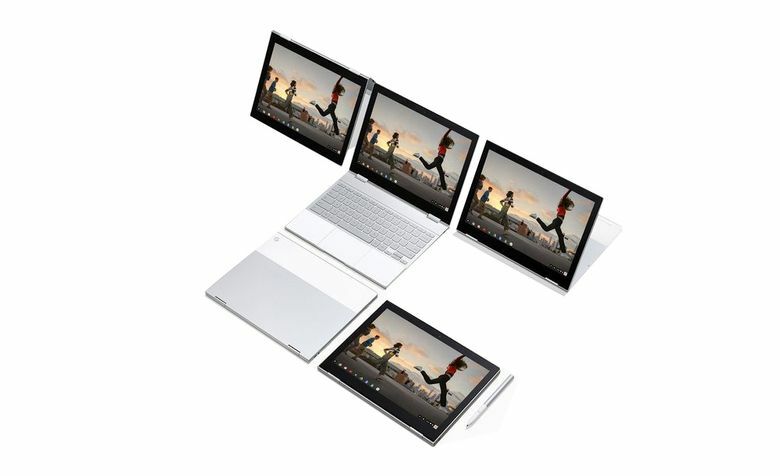 Tech Review: Based on a global road test from New York to Los Angeles and Tokyo to Paris, these were the best of roughly a dozen new laptop options — all standing out for their excellent portability, keyboard comfort, battery life, and computing power. Is the world’s best travel laptop dead? Ten years after Steve Jobs introduced the MacBook Air to the world, the laptop is on Apple’s back burner — and some fear that it’s being phased out entirely. Rather than redesigning and upgrading the hardware like all of the tech giant’s other marquee products, Apple has left the Air to collect dust, and now the MacBook and MacBook Pro are taking the spotlight. While they’re more powerful, they’re not as convenient for frequent travelers. So it’s no surprise that Mac-loyal warriors around the world are increasingly being seduced by lighter, sleeker, sexier, and more powerful laptops — ones that run Windows and Chrome OS. These five MacBook replacements are guaranteed to meet your work and play needs. Based on a global road test that took us from New York to Los Angeles and Tokyo to Paris, these were the best of roughly a dozen new options — all standing out for their excellent portability, keyboard comfort, battery life and computing power. Why we like it: The supersexy, two-toned body, which features Gorilla Glass and brushed metal, won’t smudge no matter how many times you have to unpack and repack it around the airport. And at just 2.4 pounds, you won’t feel the Pixelbook in your carry-on. There’s top-of-the-line hardware inside this laptop, including quad-core i7 processors and 16 GB of RAM, making for ultrafast loading speeds and easy multitasking. In just 15 minutes, you can add two hours of juice to the nine-hour battery, thanks to the Pixelbook’s quick charger. Dash off emails in laptop mode, use automatic tethering to your Pixel phone to work online sans Wi-Fi, or flip around the screen to watch movies in tablet mode. Besides the free security software, Google gives you 1 TB of complimentary online storage. Caveat: While Chrome OS has become a nimbler, more versatile operating system in recent years, non-Google-owned productivity tools such as Microsoft Office and Evernote still feel clunky on this browser-based platform. The Crossover app offers a solid workaround. Why we like it: Call it the first laptop to give the MacBook Air a run for its design money. The Surface laptop comes in a bevy of sharp colors including burgundy, cobalt blue, and graphite gold, and the fabric trim around the keyboard is polished and sophisticated. (It’s also comfortable on the wrists and easy to clean.) The battery lasts an impressive 14 hours, which means you can spend a halfway-productive week in the French countryside without needing an outlet. But be sure to upgrade the hardware specs as you customize your model. For on-the-go professionals, the i7 CPU, 16 GB RAM, and 1 TB solid-state drive are best. Caveat: The default operating system, Windows 10 S, is cumbersome; it limits you to Microsoft’s Edge browser and Office programs, plus any apps from the Microsoft Store. 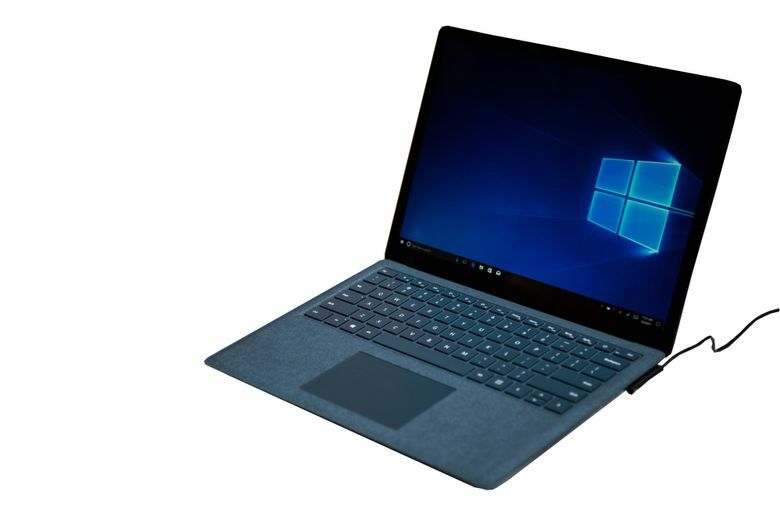 If you want to avoid those restrictions, the company allows a one-time software switch to Windows 10 Pro for free; you can also splurge on the Surface laptop commercial edition. Its base model costs about $300 more and ships with the more conventional operating system out of the box, plus a better processor, more memory, and storage. Why we like it: Sometimes, adjectives like “slim” and “lightweight” translate to a far-too-tiny screen. Not so with Dell’s redesigned XPS 13. It’s five ounces lighter, 0.22 inches thinner, and about 45 percent smaller in volume than the MacBook Air — and yet the 13.3-inch screen is identical in size, thanks to a “virtually borderless” InfinityEdge display that you can order in touch-screen 4K definition. Despite those diminutive proportions, the XPS 13 doesn’t feel flimsy: The body is made of block-machined aluminum. And the small physical footprint means you can easily type away with the screen fully open, whether on an airplane tray table or airport shuttle bus. 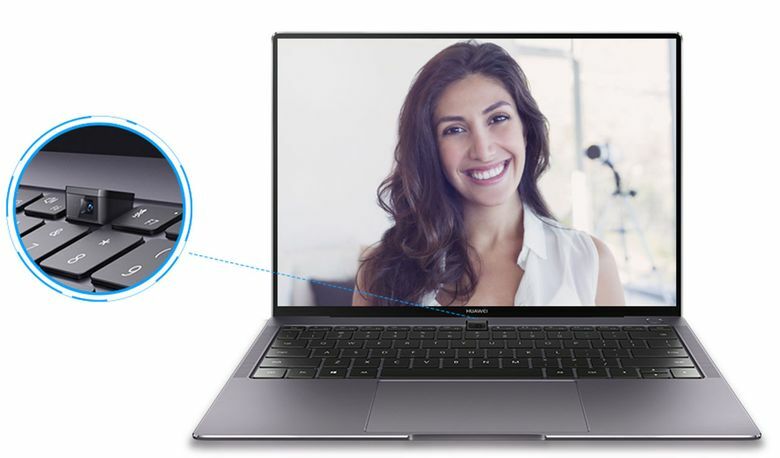 Caveat: The built-in webcam is at the bottom of the screen rather than the top, which keeps the bezel thin but makes for bizarre and unflattering angles on conference calls. Why we like it: The sixth-generation ThinkPad Carbon X1 from Lenovo Group is built for business, with an unparalleled 15-hour battery life. It also has the latest eighth-generation quad-core CPUs for faster performance, multiple inputs (USB-C, standard USB, Mini DisplayPort, and HDMI), fingerprint authentication and a sliding webcam cover, a richly hued HDR screen, and a stealthily quiet keyboard. This is a lean, mean productivity machine — it’s even shock-resistant, temperature-proof and vibration-resistant, should you get stuck in turbulence. Oh, and did we mention it’s one of the first laptops to have built-in Alexa capability? Why we like it: Don’t overlook this Chinese manufacturer. Like its phones, Huawei Technologies’ flagship laptop offers significantly better performance for less of an outlay than its rivals. Even with the latest eighth-generation Intel Core i7 processor and a high-speed solid-state drive, the Matebook X Pro tops out at $1,600 — that’s $500 less than its closest competition. There’s plenty to love besides the price, including a superslim bezel, 3K-resolution touch-screen, and four Dolby Atmos-enabled speakers that offer the best audio quality on any laptop we tested. Plus, the oversize track pad makes it easy to go mouse-free, while a spill-proof, backlit keyboard takes the stress out of ordering coffee on your red-eye. Caveat: Forgive the generic-looking aluminum alloy construction — along with the Gorilla Glass touch screen, it ensures durability. The improbably placed webcam, like that of the Dell XPS 11, is harder to justify.